In Ireland, St. Patrick’s Day is the traditional day to plant peas in a spring garden. In the United States the timing can vary somewhat from zone to zone, but March 17th still works well as a guide for starting peas for most areas. And what a perfect way to bring your garden a bit of the “luck of the Irish” by planting something green! Why you should grow peas. Did you know peas have been cultivated by humans for anywhere from 8,000 to 12,000 years? Peas are an easy, rewarding crop for spring, and are a great way to fix nitrogen in the soil for your summer plants. As an early spring crop they can be out of the ground by June, leaving time for a warm weather crop to succeed them. Dried Shelling Peas are typically used for soups or stews, and fresh shelled immature peas are good lightly steamed or boiled. Their pod is too fibrous to be edible, and the peas themselves must be removed from the shells, hence their name. Bush Shelling peas grow in a compact bush form, while the more common Vine Shelling peas, which grow on vines that require staking or trellising but which are generally more productive than bush varieties. 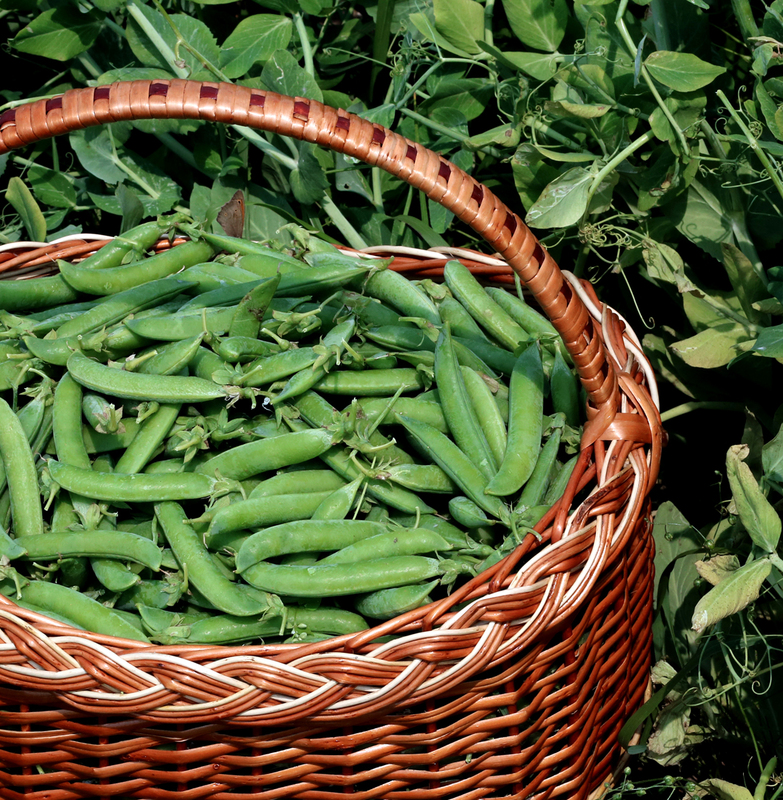 Snap Peas are a more recently developed edible-podded pea, this one originated in America. The pod is thicker and more succulent than that of the Snow Pea, and less fibrous than standard Shelling Peas. These are now one of the most popular types of pea, because there is no work in shelling and very little waste. 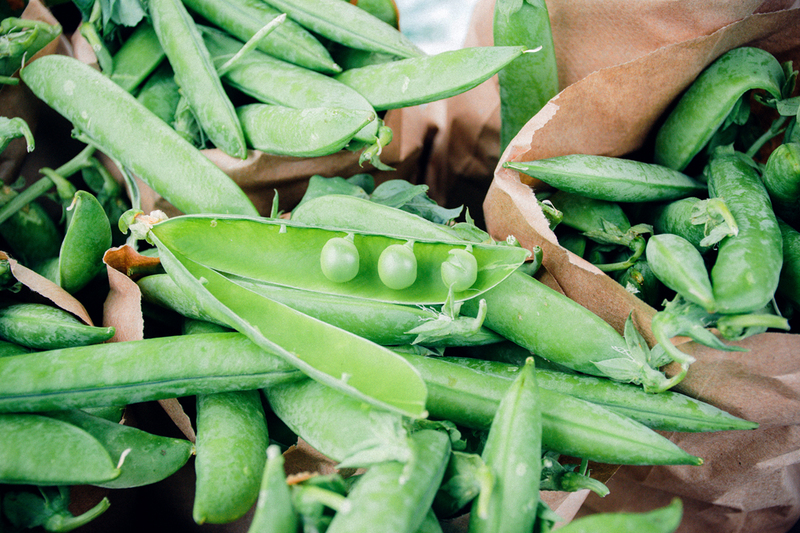 Snow Peas have thin crisp pods that are nearly translucent and bright green, with tiny seeds. The whole pod is edible and quite sweet when picked at the right time. The name may come from the whitish tint reflected from the pods, or because of their tendency to grow at the end of winter, just before the last spring freeze. As their name suggests, they can be covered with snow during these times, but still keep growing. In moderate climates, you can sow directly into your garden bed, while in colder climates you may need to start them indoors. Fortunately, peas do well in containers, so you may not even need to transplant them! In warmer climates, you may have already started your peas back in January or February, but you can still continue to sow new seeds for a second harvest before the warm days of summer. The best soil for peas is a loose well-drained loam. Peas don’t need a lot of nitrogen, as they can obtain their own. In fact, if nitrogen is too easily available they won’t bother to fix any. Peas do need phosphorus (colloidal phosphate) and potassium (wood ashes), as well as calcium and magnesium (use dolomitic limestone). If the soil is compacted double digging is beneficial. If it is poorly drained, use raised beds, especially for early plantings, as they don’t like wet soil. In very poor soils it may pay to plant your peas in trenches, filled with a mixture of soil and compost. If you’re growing a vining variety, you will need to supply a trellis or poles for the plants to grow along. How do I prepare my garden for planting?